Great price, i have it in white...great bit of kit..
£20 off a £200 spend in store too with O2 priority. Nice spot, wanted one of these with the tesco combo voucher trick but was too slow on the uptake. Thanks! This or new nexus 7? Good price, but question is do I get one these and sell the g-pad?!? Am happy with the g-pad but is the sammy a better tablet? Doesnt seem to be spec wise but am I missing a trick? Great tablet my son and one and got one on the John Lewis deal for the wife. Well recommend from me. Good price, but question is do I get one these and sell the g-pad?!? Am … Good price, but question is do I get one these and sell the g-pad?!? Am happy with the g-pad but is the sammy a better tablet? Doesnt seem to be spec wise but am I missing a trick? I got a G Pad from the tesco offer and took it back because I hated the yellow tint on the screen compared to my nexus 7 also the g pad screen was not very bright outdoors but the tab 3 has a very nice and bright screen. just picked one up in asda myself, purchased the £79 7" earlier in the week from their website, and nothing but problems with it freezing and cutting out, so took it back instore, polite word with manager who agreed I could just pay the £60 difference and get this one...fingers crossed we won't have the same issues. Hello Can somebody advise is it a 5mp camera for back or 3mp as reviews say 5mp and website mentions 3mp?? Erm , maybe because Asda have a no buIIshit returns policy if the tablet goes faulty. Currys / Pc world arent to hapy giving refunds and will try anything possible to palm you off. Just bought this from Currys. As part of the deal and included in the price (which I didn't know about prior) you get 1 year accidental damage cover and 2 years full warranty as soon as you register with the manufacturer. May calm fears about Currys. Also, you get a free 16 Gb Samsung micro SD card and adapter which was a pleasant surprise. I was umming and arring between this and the Asus Memo Pad 7HD but the Asus price recently bumped up to £129.99. At £99 it was a major contender but the price drop and larger screen size of the Samsung won it for me. At £138 it was a good price but the extras did help. Heat added. Quick update. Just been to register the Samsung and the 1 year accidental damage deal finished in Jan 2014! However, the 16 Gb micro SD came in the box and the 2 year warranty still stands. Still not bad. What would happen if I bought two and used my £20 off £200 O2 priority moments then return one? Would I get refunded the £138 or would I lose the discount aswell? Or if someone wants to save £10 off this near the White Rose, Leeds... PM me! 129 on tesco, auto deduction of £10 when you enter the code which is noted on the tesco direct website. 129 on tesco, auto deduction of £10 when you enter the code which is … 129 on tesco, auto deduction of £10 when you enter the code which is noted on the tesco direct website. That is the 7" version not 8"
Expired now of course but it is an old thread. 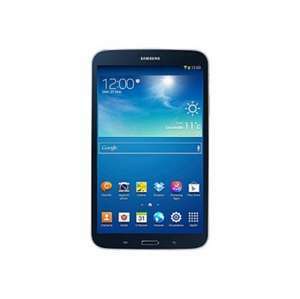 … http://www.hotukdeals.com/deals/samsung-galaxy-tab-3-8-16gb-wifi-white-tablet-with-code-129-tesco-direct-1903829Expired now of course but it is an old thread. Thanks pal, I went through to Tesco and saw 7" at that price and 8" way higher (around £215 or £255 I think) so just thought it was a mistake. Shame though as the Mrs parents had seen a Kindle Fire (as they want a cheaper I pad... Lol) for £89. I've been trying to get Mrs to convince me that this is a much better deal but they are being tight and won't pay the extra. Considering paying extra myself! It's cos the Mrs got the Memo HD around Xmas time from Tesco for £69 I think, so now they won't go over £100 thinking a good one will come in sale. They knocking in so 7" will be bit small. Inlaws grrrrr! Anyways am waffling..... Cheers for pointing it out. Thanks pal, I went through to Tesco and saw 7" at that price and 8" way … Thanks pal, I went through to Tesco and saw 7" at that price and 8" way higher (around £215 or £255 I think) so just thought it was a mistake. Shame though as the Mrs parents had seen a Kindle Fire (as they want a cheaper I pad... Lol) for £89. I've been trying to get Mrs to convince me that this is a much better deal but they are being tight and won't pay the extra. Considering paying extra myself! It's cos the Mrs got the Memo HD around Xmas time from Tesco for £69 I think, so now they won't go over £100 thinking a good one will come in sale. They knocking in so 7" will be bit small. Inlaws grrrrr! Anyways am waffling..... Cheers for pointing it out. If you are contemplating the tab 3, be aware that the 7" and 8" are completely different animals. The 7" gets quite bad reviews and the 8" gets decent reviews for everyday use. Brith tesco you were getting an additional sd card and 3 year warranty for £129 which I would say was an ok deal. For everyday use it's an ok tablet. If it's for non techie people I would just recommend the iPad mini, obviously a fair bit more expensive at £199, but that would last them a fair while, is larger than 7" (just) and easy to use etc. I have an ipad two and a tsb 3, just cause of its size I find myself using the tab 3 more.